I recently did a project involving ASP.Net web services. I created one of my own and had to call it from some other part of the same project. While debugging there were numerous occasions when I needed to build small Soap requests to test out functionality or even connectivity. 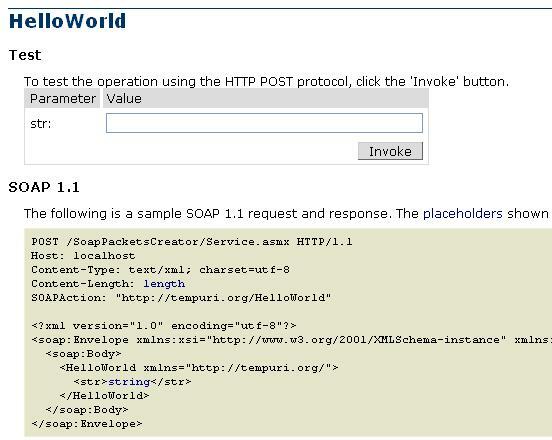 It was annoying to write the Soap packets manually and it was extra-annoying when I could simply get a dummy Soap request from the web service page provided by ASP.NET(screenshot below). Useful. Isn’t it? I ended up using it 3 or 4 times the same day.